Come and visit us at the festival of science – European Researchers’ Night. You will learn large amount of information on unique materials known since ancient times and still in high demand, intriguing scientists worldwide in searching of other innovative ways of their applications. 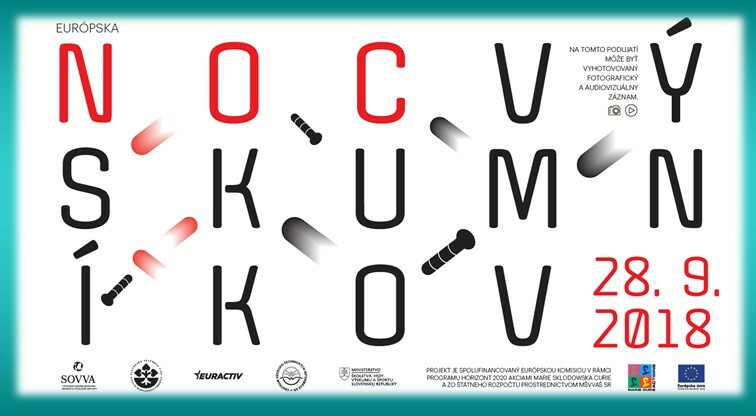 This event will be held in five Slovak cities – Bratislava, Banská Bystrica, Žilina, Košice and Tatranská Lomnica and features more than 1,000 researchers from all scientific disciplines and is attended by nearly 200,000 visitors. Our young colleagues will be ready to answer your questions at the stage N°. 46 – THE WORLD OF INORGANIC MATERIALS.